Shell: polypropylene injection-molded; Backing: EVA. Hard shield. EVA backing for optimal comfort and durable cushioning. Adjustable single-strap front closure. 95% polypropylene / 5% thermoplastic gum injection-molded. 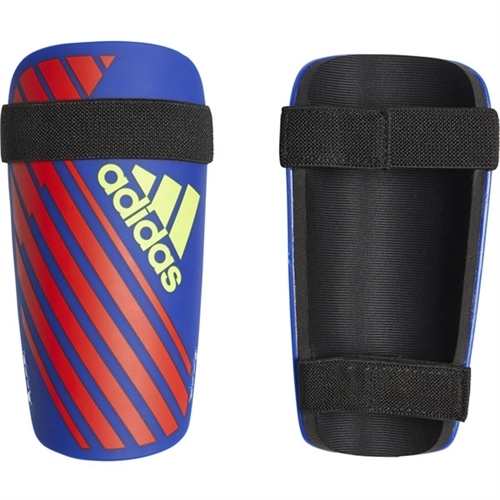 Our adidas X Lite Guard Shin Guard are tough shields on these soccer shin guards curve around you to absorb impacts. The EVA backing adds cushioned comfort. Straps at the top and bottom keep the guards in place and help adjust the width of the shields for a better fit.